Intersec was established in 2015, by Mr Marius Korff. The company was formed by the Director, after identifying the need for a dedicated and Knowledgeable Intelligence Gathering and Investigation Company, in the South African Corporate Environment. We have highly skilled and experienced Agents that have been involved in various undercover. Intersec is a Private Investigator Company, that believe the only way to stay ahead of crime, is to make sure that we deliver quality service, with Integrity and with the aid of skilled employees. We strive to give quality service as a norm and not an exception. Intersec will only utilize employees that shares our view, that through dedication and integrity we will accomplish our goals, towards solving our client’s problems, as that will always be our number 1 priority, and that all work done must be to the best of our ability, timeously and done with all the proper planning and expertise necessary, to ensure success, at all times. 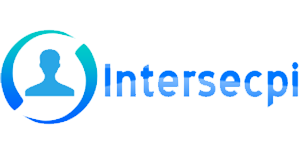 Intersec is a Company, that believe the only way to stay ahead of crime, is to make sure that we deliver quality service, with Integrity and with the aid of skilled employees. We strive to give quality service as a norm and not an exception. Intersec will only utilize employees that shares our view, that through dedication and integrity we will accomplish our goals, towards solving our client’s problems, as that will always be our number 1 priority, and that all work done must be to the best of our ability, timeously and done with all the proper planning and expertise necessary, to ensure success, at all times. Integrity is everything for us, as we know that any client making use of our services, already have experienced some form of trauma or loss, and we will ensure that only the best interest of all clients, will be foremost on our minds. We assure the Client of our utmost loyalty and undivided attention, till such time as we deliver a result that the client deserves and expects. We will always ensure, we use the best technology available to us, and where there is agents or investigators involved, we endeavor to use the best trained and skilled in these fields, to make sure results from them are obtained. We carefully screen our employees and make sure only the cream of the crop will be employed by us. We also endeavour, that our management team will be Hands on, and leave nothing to chance, and they must be goal driven and motivated at all times. We have an open door policy to our top structures, and any client, day or night, will have full access to Management, to resolve any problem without delay.